Send me plain text mails to mail@duncano.de. My PGP key has the following fingerprint: C4B6 FBA9 8211 F7EF F35D EB73 335C 1D17 EC3D 6E35 and there are multiple proofs on my keybase account. OpenDoas — A portable version of the OpenBSD doas(1) command. Void Linux — The Linux distribution I regularly contribute to and use on most of my systems. acme-client-portable — A portable version of OpenBSDs acme-client(1). alsa-sndio — ALSA PCM to play audio on sndio servers. dotfiles — Portable configuration files and utility scripts for Linux and OpenBSD. lobase — Linux port of OpenBSDs userland. m3utils — A set of Unix utilities to manage media files. mblaze — Unix utilities to deal with Maildir Unix utilities to deal with Maildir. Other projects are available in my git repositories or on github.com/Duncaen. kbd-intl-ng — Improved international keyboard layouts for Xorg and Linux virtual consoles. 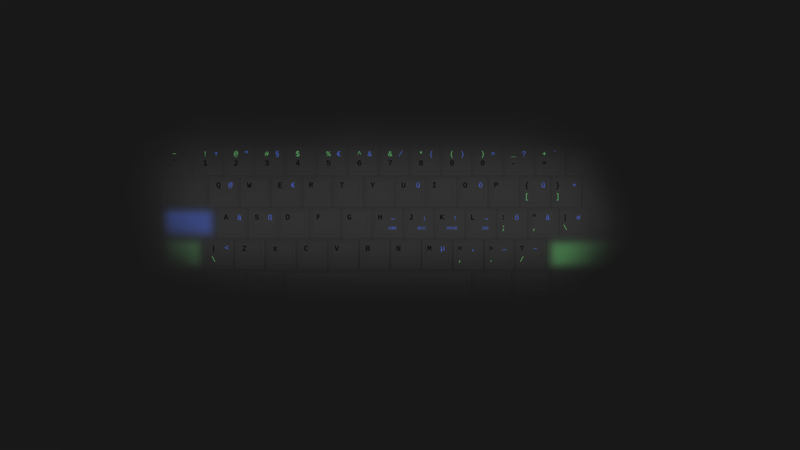 wallpaper — A wallpaper that shows my keyboard layout. xcursor-plan9 — Xorg cursor theme inspired and based on plan9 cursors (preview).